After a week or so spent installing a new and moderately ambiguous arm on the nose of Falcon fairing recovery vessel Mr. Steven, SpaceX’s recovery crew performed a number of high-speed sea trials a few miles off the shore of Port of Los Angeles, testing out something. Just a few days later, Mr. Steven returned to the general region surrounding Catalina Island, where – by all appearances – SpaceX technicians performed the most recent Falcon fairing drop/catch test. Using a helicopter to pick up the test-dedicated fairing half from a barge, eventually dropping it from around 10,000 feet, this offers Mr. Steven a much higher volume of controlled attempts at both catching a parasailing fairing and optimizing the technology and recovery methods involved. 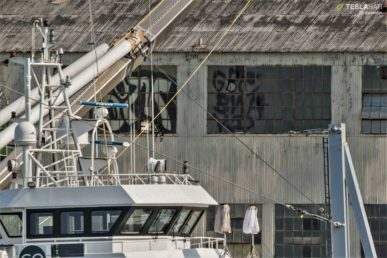 Over the last few weeks, Teslarati photographer Pauline Acalin has reliably kept up with Mr. Steven, documenting a variety of recent physical changes to the vessel. Most notably, these changes include the installation of a visible and quite curious stanchion (or arm) at the ship’s aft tip (nose). 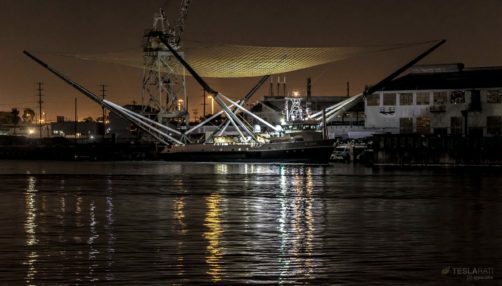 Simply due to a lack of any real information about the experiences of operating Mr. Steven and attempting to catch Falcon fairings, it’s all but impossible to know for sure what this new limb accomplishes or why it was needed in the first place. More clear are general visual observations and the reasonable extrapolations that can be derived from them. At the simplest level, this new limb is clearly well-reinforced, at least no less so than any of Mr. Steven’s other arms and attachment points. Aside from a basic off-the-shelf ladder for crew and technician access, the stanchion plays host to four basic swinging arms with what looks like one or maybe one and a half degrees of freedom, allowing them to pivot roughly 180 degrees along the plane of the angle they were installed at. Secured to the ends of those four simple arms are four heavy-duty coiled metal cables, themselves attached to the center of Mr. Steven’s two foremost arms (two cables per arm). Curiously, the ship’s Nov. 12 sea trials were conducted with just the bottom two cables attached to each respective arm, visible in photos of the outing. Upon returning from a Nov. 14 fairing drop-and-catch test, both upper and lower cable sets were seen attached to his aft arms. During the nearby sea trials, no clearly abnormal behavior – compared against previous trials at similar speeds and the same location – was observed, although the new metal cables were visibly taut or nearly so. Given just how seemingly nuanced the utility of this new arm and cable combo seems to be, a few obvious conclusions and possible explanations can be drawn. 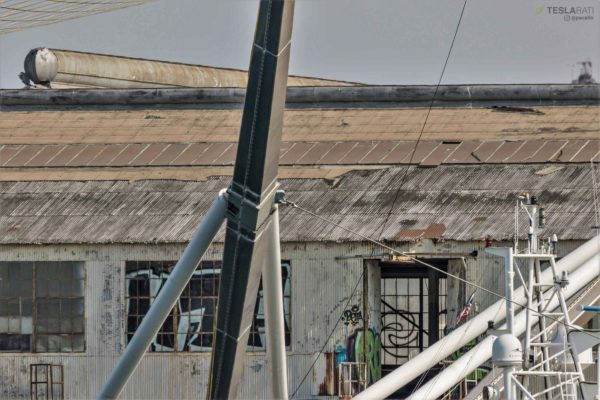 Perhaps Mr. Steven experiences inconvenient arm bouncing while sailing at high speeds, particularly in high speeds, and holding his arms down serves to grease the metaphorical gears of fairing recovery. Maybe the recovery net – stretched between four large arms – is tensioned more than SpaceX fairing recovery engineers and technicians would like, partially shrinking the usable catching area by pulling each arm towards the center. Even more nuanced still, it may be the case that these new tensioning steel cables and stanchion make it easier for fairing halves to be processed after landing in Mr. Steven’s net, allowing the crew to accurately and rapidly move the fairing to an optimal section of the net. Regardless, none of these best-case, simple explanations for the new hardware satisfactorily mesh with the known facts surrounding Mr. Steven and Falcon fairing recovery in general. For any of the above scenarios to be true, one must essentially assume that SpaceX has already nailed down fairing recovery and catches or believes that the path to solving those problems is almost totally clear of obstacles. 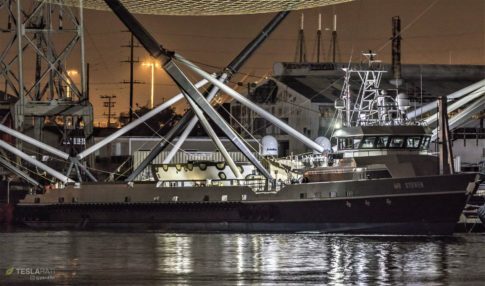 If not, it would feel more than a little like putting the cart before the horse (or the fairing before the net) to be optimizing Mr. Steven for operations that are – as of yet – out of reach. If SpaceX were so close to closing the fairing recovery gap, one would generally expect Mr. Steven to attempt fairing recoveries after all true Falcon 9 launches while also performing controlled drop test catch attempts. However, no such attempt was made after the October 7 launch of SAOCOM-1A and – according to CEO Elon Musk – Mr. Steven will not be attempting to catch Falcon 9’s fairing(s) after the imminent launch of SSO-A, expected to occur sometime after Thanksgiving (later this week).